We can control where weapons go? In this video, [ 2.30 mins.] 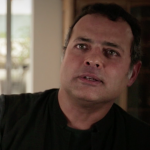 Vijay Prashad, journalist, historian and director of Tricontinental Institute for Social Research, discusses the flow of weapons from ‘friends’ to ‘enemies’ across today’s war zones. [Produced by World Peace Foundation with Corruption Watch, original footage produced for Shadow World]. Learn more about WPF’s project on corruption and the global arms trade, including additional information about controlling where weapons go [Myth #3] on our website; through our 2017 publication, Indefensible: 7 Myths of the Global Arms Trade; and the interactive website that supports the book.